PAW Patrol Live! The Great Pirate Adventure comes to Melbourne. Attention all young pups of Melbourne! There's a group of six rescue dogs heading to Victoria's capital city to complete a new mission, and your kids are invited along for the adventure! 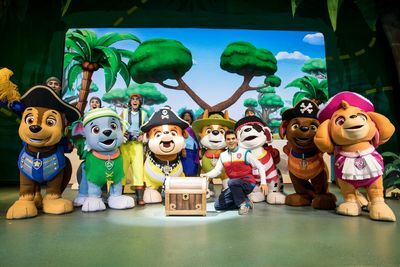 Yes that's right, the PAW Patrol team led by tech-savvy Ryder are heading to the Margaret Court Arena this June, in the all new "Great Pirate Adventure". No job is too big, no pup is too small for the heroic pups who must make sure everything shipshape for a big Pirate Day celebration in Adventure Bay. When Cap’n Turbot falls into a dark and mysterious cavern, it’s PAW Patrol to the rescue! Chase, Marshall, Rubble, Skye, Rocky and Zuma save Cap'n Turbot and discover a secret pirate treasure map that leads them on an epic adventure. Using their heroic rescue skills, problem solving and teamwork, the pups set sail to save the day! PAW Patrol, a Canadian CGI–animated television series created by Keith Chapman, first aired on Nickelodeon in 2013. Since then, the PAW Patrol series has been sold to TV networks in over 160 countries, including Australia! 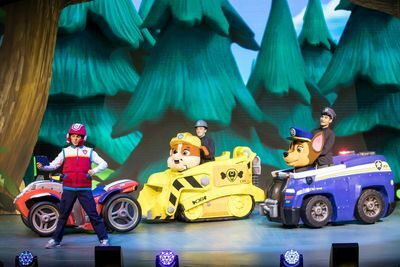 Now the PAW Patrol crew will appear on stage in the PAW Patrol Live! “The Great Pirate Adventure” Australian Tour. On 10 & 11 June, 2018 it's PAW Patrol to the rescue! Chase, Marshall, Rubble, Skye, Rocky and Zuma save Cap'nTurbot and discover a secret pirate treasure map that leads them on an epic adventure. Would you like to WIN tickets to see PAW Patrol Live! The Great Pirate Adventure in Melbourne? We have a family pass to GIVEAWAY for the 1pm show on Monday 11 June at the Margaret Court Arena. To enter, head over to this Facebook post, like and leave a comment. Tag a friend or two for extra entries. Make sure you like our page too, so we can tag you if you win! The competition will remain open until Monday 21 May 9pm AEST.